Are You Looking For: Immediate Lift? More Volume? Results That Last? All With Minimal Downtime. Silhouette InstaLift is a non-surgical, minimally invasive, procedure to lift sagging facial skin in the mid face for a younger look. 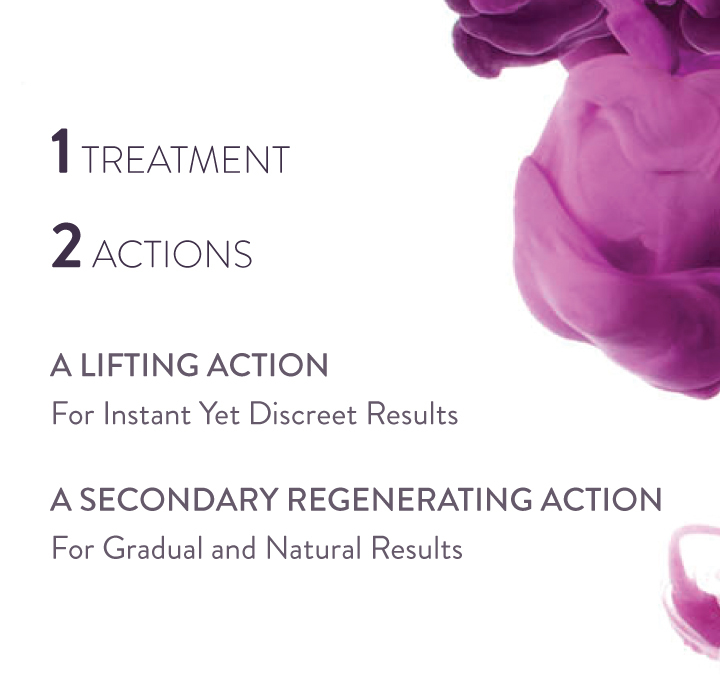 Silhouette InstaLift is a unique dual-action treatment that produces two desirable facial outcomes: an immediate lifting of the tissue in the mid-face area and a gradual regeneration of collagen to add volume, a result that gets better over time. Resorbable suspension suture with bi-directional cones. 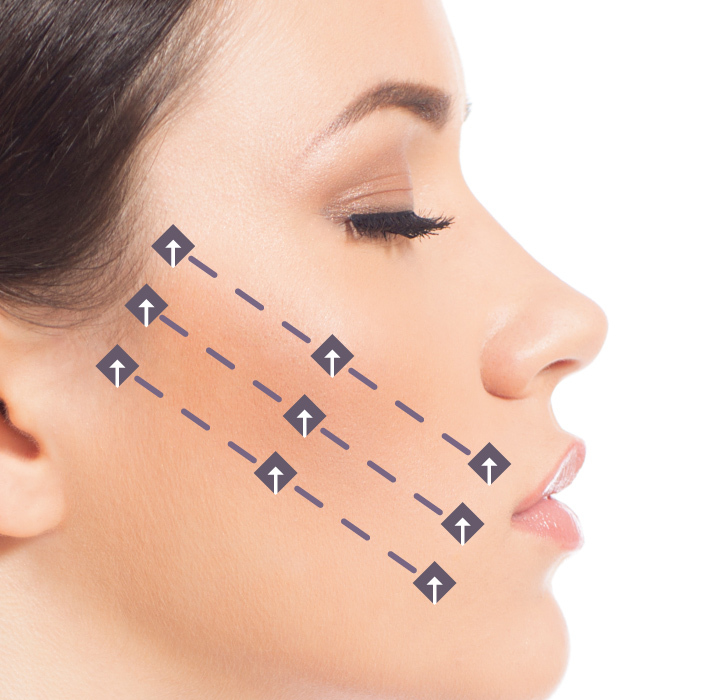 The sutures lift and reposition subdermal tissue while the bi-directional cones hold the suture and facial skin in an elevated position. The suture and cone material are both made of glycolide / L-lactide (PLGA) and over time they stimulate fibroblasts for gradual collagen maturation and are designed to reposition volume in the mid-face with a goal of a natural-looking result. IS INSTALIFT RIGHT FOR YOU? Silhouette InstaLift offers an excellent option for women and men who are looking for a natural, younger look but who don’t want to undergo a traditional surgical facelift or deal with the ongoing maintenance required with injectables three to four times a year. 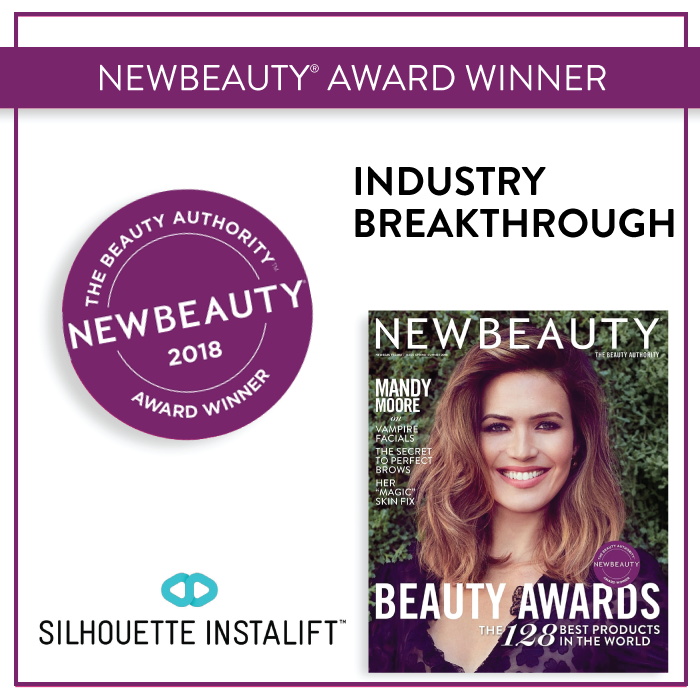 Silhouette InstaLift recently won New Beauty’s 2018 – Industry Breakthorough Award. You can reasonably expect improvements to last about 18 months. The sutures do eventually dissolve and natural aging continues, just as it would if you had no treatment or had a surgical lift. “I’ve been watching the trend of facial threads for many years. 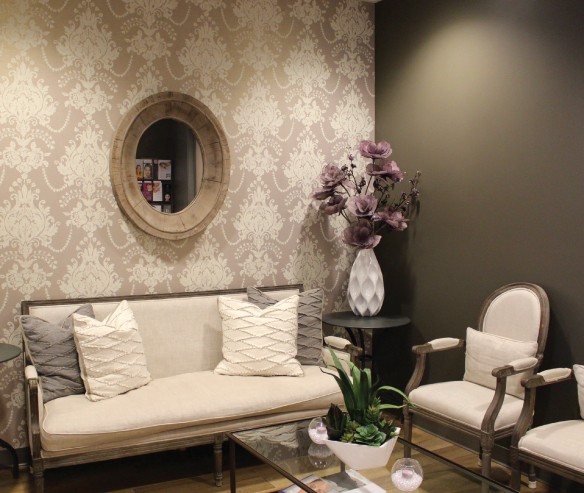 However, I haven’t felt any the products that were on the market were a good fit for our practice, until now. 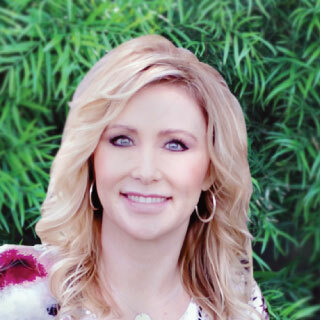 With so many patients wanting to see lift of the heaviness of the lower and mid-face, but not needing volume (like adding filler) – facial threads are the perfect solution. I like Silhouette Instalift because it’s FDA approved safety profile and longevity compared to other threads available to patients. 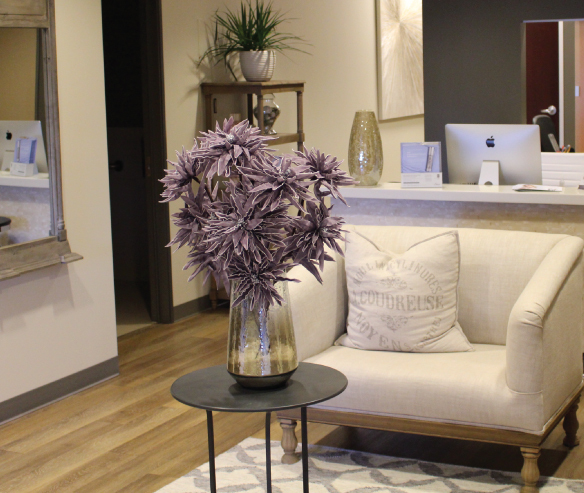 Silhouette InstaLift is the ideal minimally-invasive solution for many men and women who are interested in refreshing their appearance without major surgery, injections, or lasers. It offers a new and unique technology to lift sagging facial skin. Suitable candidates have good skin quality, with moderate sagging of the skin in the mid-face. 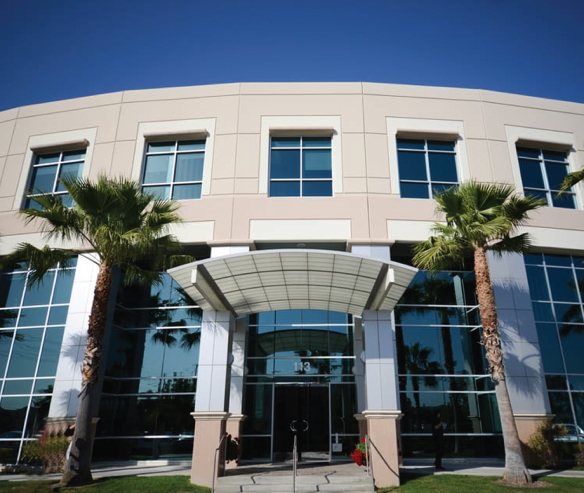 Silhouette InstaLift sutures are made from glycolide / L-lactide (PLGA), a polymer that is frequently used in medical devices and is well tolerated by the body. The fully resorbable sutures have bidirectional cones; the sutures lift and reposition the tissue while the bi-directional cones hold the suture and facial skin in an elevated position. patients and typically takes 45 minutes. Silhouette InstaLift is an entirely new technology and procedure. Rather than just repositioning the skin, Silhouette InstaLift now focuses on the underlying layers of the skin, because that is what really causes sagging. Another important advance is that the sutures are not permanent; they are absorbed by the body over time. As they are absorbed, they stimulate collagen renewal, which helps achieve a lasting, natural look.